All “Canadian Heritage Organics” pure organic maple syrup, organic maple butter and granulated organic maple sugar are our own products. They are “Certified Organic” by Ecocert Canada as well as certified Kosher by Montreal Kosher. 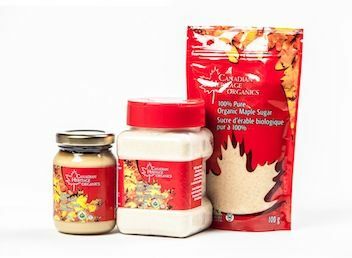 “Canadian Heritage Organics” organic maple products respect the organic farming processes: manufactured naturally with absolutely no artificial additives, coloring, preservatives or chemicals. 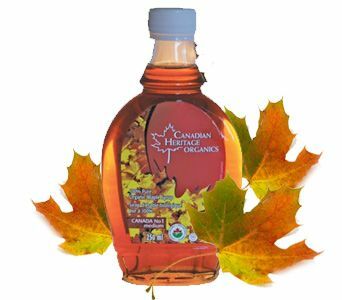 “Canadian Heritage Organics” products are made in the Appalaches region of Quebec where the mineral content of the soil is ideal for making maple syrup. With three generations of craftsmanship, our maple products are collected using traditional farming techniques as well as with the Pipeline Method. This allows us to ensure that we are making the highest quality maple syrup possible.